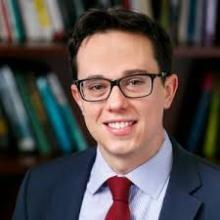 Scott Greytak is the Policy Counsel and Research Analyst for Justice at Stake, where he designs and manages advocacy campaigns to protect courts from special-interest influence and politicization by utilizing legislative, litigative, communications, and organizing strategies. He is the lead author of Bankrolling the Bench: The New Politics of Judicial Elections 2013-14, which details the spending numbers and stories behind state supreme court elections. He also engages in efforts to increase diversity on the bench, defend courts from political attacks, and reform how state court judges are selected. Scott joined Justice at Stake in 2014, bringing a diverse background in policy development and advocacy, litigation, and academic writing. He came from private practice, where he worked at the intersection of civil rights and education law. Scott earlier worked at the Ohio Public Defender, where he helped achieve positive results for indigent clients and developed coalition-led issue campaigns, and he began his legal career at the American Civil Liberties Union of Ohio. He sits on the boards of the American Civil Liberties Union of the Nation’s Capital and the American Constitution Society D.C. Lawyer Chapter. He is a two-time graduate of Ohio State University, where he received a B.A. in Political Science and a J.D. from the Ohio State University Moritz College of Law.